Cardiovascular disease is the No. 1 killer of women over age 25 in the United States. Even one or two cigarettes a day dramatically increases the risk of heart attack, stroke and other serious conditions. Just 30 minutes of brisk walking reduces the risk of cardiovascular disease and has been shown to reduce the risk of breast cancer, too. Normal body mass index (BMI) ranges from 18.5 to 24.9 kg/m2. A BMI higher than 27 is considered overweight, while a BMI higher than 30 indicates obesity. Eat foods that are low in saturated fat, cholesterol and trans fat (partially hydrogenated fats). Also eat plant-based foods, such as fruits and vegetables, nuts and whole grains. Remember, trans fatty acids are bad fats. Ask your doctor about the ultrasensitive C- reactive protein (us-CRP) blood test. Elevated us-CRP levels are related to an increased risk for heart attack, stroke, peripheral vascular disease (PVD) and restenosis of coronary arteries after an interventional procedure. 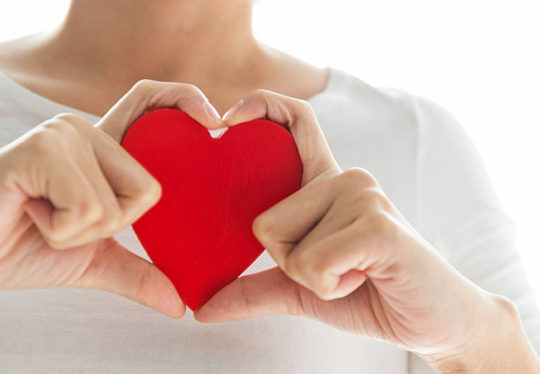 People with diabetes — especially women — have a higher risk of cardiovascular disease because diabetes increases other risk factors, such as elevated cholesterol and blood pressure levels. Keeping diabetes under control is essential in reducing your risk. Normal blood pressure should be below 120/80 mm/Hg. High blood pressure increases the risk of heart attack, heart failure and stroke. If you have been diagnosed with high blood pressure, the goal is to lower your blood pressure to less than 140/80 mm/Hg. If you have high blood pressure along with diabetes or kidney disease, the blood pressure goal is less than 130/80 mm/Hg. Please ask your doctor what blood pressure level is right for you. Total cholesterol should be less than 200 mg/dL. Triglycerides should be less than 150 mg/dL. LDL cholesterol, the “bad” cholesterol, should be under 130 mg/dL for most people. LDL should be less than 100 mg/dL for those with a high risk of heart and blood vessel (cardiovascular) disease, such as some patients with diabetes or those who have multiple risk factors. For patients who already have cardiovascular disease, your goal may be less than 70 mg/dL. Please ask your doctor what cholesterol level is right for you. Seek immediate medical attention if you experience the following symptoms for longer than five minutes and they are not relieved by rest or medications: pain or discomfort in the center of the chest or other areas of the upper body, including the arms, back, neck, jaw or stomach. Other symptoms can include shortness of breath, breaking out in a cold sweat, nausea or light-headedness. Do not delay seeking treatment.